SCHUNK is the world’s No. 1 for clamping technology and gripping systems – from the smallest parallel gripper to the largest chuck jaw program. In order to boost efficiency, SCHUNK customers have bought more than 2 000 000 precision toolholders, 1 000 000 gripping modules, and 100 000 lathe chucks and stationary workholding systems so far. This makes us proud and motivates us to attain new top performances. As a competence leader, we recognize and develop standards with a large potential for the future, which will drive the rapid progress in many industries. Our customers profit from the expert knowledge, the experience and the team spirit of more than 1900 employees in our innovative family-owned company. 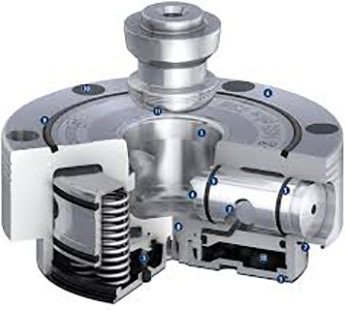 The Schunk family wishes you improved end results with our quality products.